The quick and personal attention! Beyond that the feature sets and ease of use. I tried at least 8 other similar vendors and all either had limited features (or the cost was too much for those features) OR the quality was not as advertised. Nothing so far! In fact, I must share that the organization was able to assist me when I purchased the product services to early in our organizations decision making (I jumped the gun) and they kindly refunded until I had the "official" ok to proceed...who does that? Greenvelope! Check them all out, but this Greenvelope has the best prices, most features that you really need, and is easy to use. Most of all, they are responsive! We have been plagued with software that is not "user friendly" and is missing too many of the essentials to make a positive impression with our clients. Greenvelope ticks off almost every box we are looking for and has many we did not know we would need! Our goal is to communicate effectively with our relationships in a visually and easy to use format. This was my first time using an electronic invite service. I did my research on many other companies and found that Greenvelope had the most features for the price point I had in my budget. Since I was a newbie, I had many questions on how to customize my invite to work out the way I wanted. I needed it to have food choices for a dinner party, as well as if certain people were able to bring a plus one. My personal representative, Zach S., helped me with all of my painstaking (almost needy) questions. His responses were VERY quick, always same day, and pointed me in the right direction on how to solve my issues. It was fantastic! I was able to use Tags for different categories of people invited to different parts of my event, and added survey questions into each tag. I would highly recommend Greenvelope to family and friends. While I was throwing a 40th Anniversary party and Greenvelope had a 40th template already made, it would be nice if that could be changeable. Like if I were throwing a 30th birthday or anniversary, and I liked everything that was on the 40th template, except the 4 needed to be changed to a 3. That would be a cool feature. Look through many templates so you know the one you pick will be manipulated to your liking. I'm solving a one mass mail out that I don't have to individually send out myself. "Tried the Rest. Feel this is the Best"
The ability to customize virtually every aspect of the invitation design, the delivery method, the incorporation of music, photographs, links to outside sites make this the tool for quality client and prospect engagement. My recipients were commenting on the invite throughout the event. Then, the ability follow up with an equally customizable survey about our event gave us a killer opportunity to touch the recipients again. And, because we included a contest in the survey, we will have a 3rd opportunity to reach out. We have not found anything we did not like. I am confident the base offering of customizable templates will broaden. We are able to reach a wide audience with a fun engaging invitation which garners more response. We enjoyed an open rate close to 60% and a response rate of 45-50%. "Easy way to send and track invitation"
Easy to upload a mass email list and add more to the list as you go. The templates were easy to customize. Tracking is my favorite thing especially the ability to set automatic reminders for those that haven't responded. I had one department that gave me all their employees responses on paper - being able to batch input the responses of several people would have been nice. Instead I had to do it one person at a time. I'm using this for company employee events. Our employees are scattered at customer sites throughout the midwest so previously we used either email or paper invitations. Employees really like the presentation that mimics a real invitation - the animation. I really like the tracking and reminders - it is so much easier than paper invites. The time savings and convenience for myself and our employees was my primary motiviation but the savings in postage pays for the service which is a nice bonus. Love the ease of use, the ability to change and customize. The tracking of RSVPs. The possibilities of use are just endless! I even had an issue designing exactly what I wanted and emailed support. I received a response very quickly that helped me to solve my issue so my invitation is exactly what I wanted it to look like. I have not encountered anything I dislike. I was able to navigate through any issues I encountered with ease. Customer support through email was extremely helpful for me. Great product. Easy to use. The perfect solution from design to implementation to the tracking of RSVPs and more! I Highly recommend Greenvelope! The annual pricing makes this very reasonable. We will utilize this service not only for our current event but as a solution for other mailings as well! Used Greenvelope for our companies ribbon-cutting event. The all in one solution of creating, emailing and tracking the RSVPs has helped me to be able to focus on other details. I love that I can see who opened the email as well as the responses. "Easy to use, extremely customizable"
Nearly everything about the email is customizable. The +1 option is great, the URL to share the event is great, the scheduling of reminders, the exporting of lists, customizing the details page and being able to add in sections, being able to get rid of the envelope feature. Nearly everything is turn off or on, edit this or that. It's great. I think the only thing that could improve is the sharing feature. I had hoped that when people clicked the share in email icon button at the bottom that they could just send to multiple emails at once and make the recipients add their name but that was not the case. We do events that require multiple departments to work together to invite their clients. This gives us an easy, customizable solution to send invites and manager RSVPs for the entire event. There isn't anything about this website that I don't like. It makes the attendee tracking process so much easier. I can see who has received the invitation, who has opened the invitation, and it makes it easy to follow up with those individuals. Before Greenvelope, I had to spend a whole day following up with invitees. With Greenvelope, I'm able to resend the invite or send a message to everyone in minutes. The customization features were helpful with branding an event and the team was very responsive to a couple of questions. The ability to import your own logo, different images, etc. was very helpful. One of my customers commented that the event invitations were really "cool". There really was not much I completely disliked. I think it would be helpful to be able to combine mailings or add on users in groups instead of having to tag everything. I would consider using the subscription instead of the pay as you go. It seems to be a more economical solution. This is my first time using Greenvelope and I am so happy that I did! Everything about this company is great!, from the great customer service (thank you Zack for being sooo helpful), to the ease and creativity of the site. I love that you can add in music and pix - i makes the invite come to life! My fav features are the resend feature and the tracking feature. And the annual price is incredibly reasonable. I LOVE this company! nothing - the service the company provides is great. Beautiful templates make stunning invitations - great for birthday parties and kid friendly events. If you are using it for business you should use a custom template. "Easy to use, professional looking"
We liked the user interface and the customer service. There is nothing that I dislike about the product currently. We wanted a professional looking invitation that we could use for an upcoming gala. Greenvelope made that possible and their staff was able to help me make it fit my personal needs. There are so many aspects to like - the templates, the format, the customer service! A pull down for messages from the contact names in the address menu would be nice. Sending out a good looking, personalized invitation to large groups at a reasonable price with easy to use tracking. "User friendly and a lot of customization options"
I liked the amount of options that it offers, including design, layout and even the envelope. Wasn't just your basic evite, looked very professional. I thought the cost was a little high for the amount of times we plan on using it. I used it for a company open house and for a one time evite, it is pretty expensive. Maybe a one-time use fee rather than yearly for those that may not use it again. I would use this service again in a heartbeat. Very professional and easy to use. Easy to import contacts and resend invitations. Love that it keeps an RSVP count!! Reaching a mass number of customers for our open house rather than printing and mailing personal invitations. Love the RSVP option!! "I worked with Nikki on our design and she was extremely helpful "
The design team was great and always were prompt with changes and updates. Ease of use, great portfolio of design options and truly great customer service. The training videos are helpful and every step offers a level of customization. Mass mailings that are easy to customize and track. Really helpful support team and ready made training videos. We are hosting our first product launch party- has made it super easy to understand who on the list has opened, responded, said yes, said no, never opened. You can easily take actions on each group. 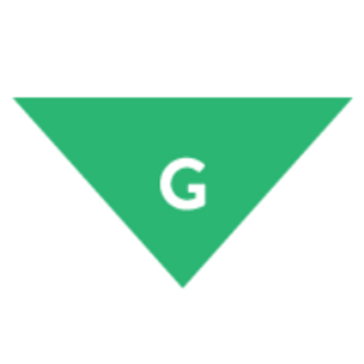 "Big fan - had exactly what I needed"
Greenvelope was only company I found that let me create a premium-looking invite and had ability to put separate link on social media. App was intuitive, and invite looked amazing. There wasn't anything I disliked - great product. I needed a good-looking invite for my launch party that had the ability to have a social link. We love the look of the invitation, the options available, the ability to customize and the efficiency of the notifications. We had a launch party. We realized we didn't have emails correctly entered in the system. The benefit is that we save paper by sending invitations electronically and that it keeps up with our guest count for us. "Nonprofit Special Event Usage "
Using Greenvelope for invitations, registration and payments has helped us ensure that our fundraising events have been a success. Greenvelope allows us to customize each aspect of the invitation, ensuring that we remain true to our nonprofit’s brand. We are able to easily track and communicate with our guests throughout the entire process. One potential improvement, that I believe Greenvelope is currently working on, is updating their RSVP process. Currently, for paid events, a guest is able to RSVP without making their payment. We would prefer that the software require registration and payment at the same time. Greenvelope allows us to easily interact with our guests throughout the registration process and post-event. The interface is easily customizable, which is very important to us. Ability to export to excel. But really loved trackable RSVPS and unopened emails. Being able to send trackable evites to guest for client events, and understanding who has opened the emails. "New experience with online invitations"
Does not provide a list of bounced invitations, as I found several emails that did not work. Professional, special design for an invitation vs. a standard email. The product is easy to use and has great reporting features so we can track the responses and attendees. The times I've had questions, have received great support. Will continue to use GV and feel comfortable recommending them. When you receive the email, the type seems large and the first word you see is Greenvelope, not our company name. Managing invitations from multiple people in the organization. Easy to organize, upload and generate reports for several different stake holders. The service was prompt. He was especially patient with all of my questions. It was a great experience. Nothing I disliked. Recommend for the tracking features alone! We had trouble with all of our invitations getting into the mail from our printer in past years. This route is very effective for tracking and if the email address is wrong the system alerts you to that. The customization and business friendly features. The header is too design rigid. Better font and placement options would help. Private events with clients are easier to organize. "Greenvelope is a very user friendly and their customer service is extremely responsive. " I like the responsiveness of the customer service staff. I would like for the program to allow other users sign on and manage the mailings. Allow other users to sign on and manage mailings. Invites that are easy to track and update. Ability to have a two-date event where guests choose which one they want to attend. Price, although it was the only platform I could find that could accommodate my needs. We reached a wide audience with our mailing. So much better than other products I've used! * We monitor all Greenvelope reviews to prevent fraudulent reviews and keep review quality high. We do not post reviews by company employees or direct competitors. Validated reviews require the user to submit a screenshot of the product containing their user ID, in order to verify a user is an actual user of the product. Hi there! Are you looking to implement a solution like Greenvelope?